Product categories of Expanded Metal Mesh, we are specialized manufacturers from China, Expanded Metal Mesh, Metal Mesh suppliers/factory, wholesale high-quality products of Expanded Steel Mesh R & D and manufacturing, we have the perfect after-sales service and technical support. Look forward to your cooperation! Materials: Aluminum plate, thin low carbon steel plate, stainless steel plate, Al-Mg alloy plate, copper plate, nickel plate. Category: Aluminum Expanded Metal Mesh, Small Expanded Steel Plate Mesh, Expanded Steel Mesh and Stainless Steel Expanded Steel Mesh. Surface treatment: hot-dipped Galvanized, electro galvanized, PVC-coated. Hole Patterns: Diamond, square, round, triangle, scale hole, etc. 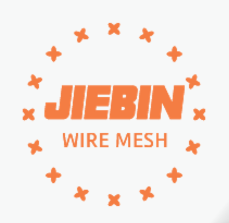 Characteristics: Expanded Mesh is strong and wear-resisting, lightness in weight and has good ventilation. Usage: Expanded Steel Mesh is widely used in road, railway, civil building, water conservancy`s building; the protecting of all kinds of machines, electrical equipment (musical facilities), window and aquatic product's breed.